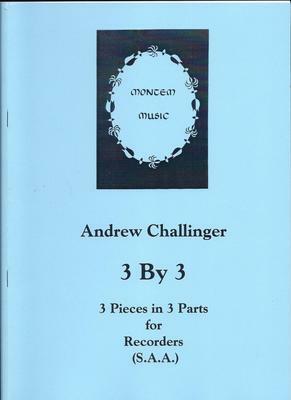 Like the earlier Diversions, these three pieces were commissioned for the younger players of the Kfar Saba Recorder Ensemble in Israel. They are not particularly difficult but do present some challenges: the first - "Hill Song" - needs a high degree of rhythmic security; the second - "Fast Track" - tests tonguing skill and the third - "Taking it Easy" - requires neat finger-work in a relaxed swing waltz. What do you want to know about 3 By 3?